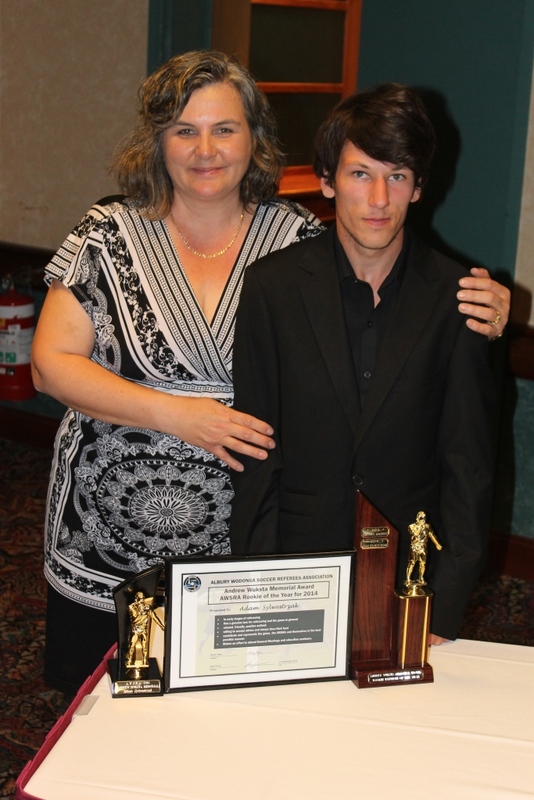 Congratulations to Adam Sylwestrzak for being awarded the 2014 Andrew Wuksta Memorial award for being the Rookie Referee of the Year. This award is given to a the referee, who is in their early stages of refereeing, stands out as having a relaxed, friendly, positive outlook, a referee who is willing to accept advice and always does their best. A young member who wishes to contribute and represents the game, the AWSRA and themselves in the best possible manner. Congratulations Adam. You have been an absolute pleasure to watch this season and we hope to continue to see you progress through the ranks.